But of all his long-term partners, Siegfried especially cherishes his ongoing role at the University of Miami School of Law, where he’s mentored hundreds, taught more 1,700 law students, including his attorney son Nicholas, and served as an adjunct professor of construction law for 33 years. He’s also garnered a reputation for launching the careers of hundreds of young lawyers, hired to work in construction, real estate and condo law. 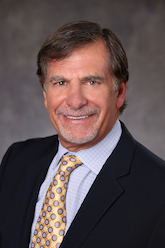 As we celebrate our 40th anniversary, our firm is extremely proud to congratulate founder Steve Siegfried for the many important contributions that he has made to the practice of construction law and community association law in Florida, as well as to our growth and success through the decades. Click here to read the complete article in the newspaper’s website (registration required).